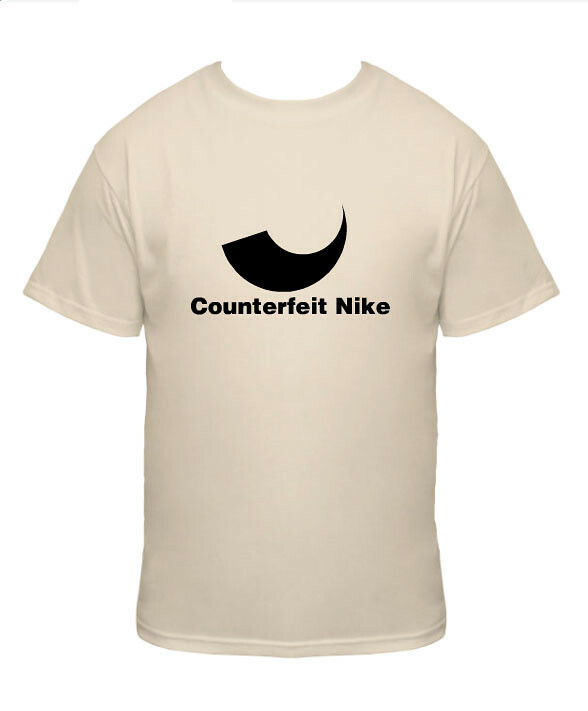 Counterfeit Nike! I’m sure this falls under parody. So I’m not all that worried about getting sued. My best bud Eric really liked this design when I showed it to him, who knows, he might be able to wear it eventually.